Guest post by Ieva Baranova, content crafter and journalist with 7 years of experience. Among her other projects, she works with Truesix.co – content marketing agency that helps tech startups access big markets. It’s no secret that gender diversity in the tech industry is far from perfect – women own only 5% of startups and hold only 25% of all computing jobs. However, the crypto world seems to be even more male-dominated with only 5% to 7% of all cryptocurrency users being women. As the cryptocurrency and blockchain sector keeps exploding, significant gender inequality remains. I witnessed it myself when I attended the Blockchain Summit in Vilnius, Lithuania which was the largest crypto investors’ gathering in the Baltics. It didn’t take long to notice that I was among the very few female attendees – 10% at best. Disparity exists in every aspect of crypto, including fundraising, ICOs (Initial Coin Offerings), and new applications for blockchain technology. Some might argue – do we really need more people involved in this dubious system threatening financial disruption and facilitating shady transactions? Meanwhile, other people are making decisions AND serious money from it, and almost all of those people are male. If women want to jump on the bandwagon, it has to happen now. On the bright side, there are movements and initiatives that could reduce this gender gap. Mobile gaming – an industry often considered first in line to be disrupted by blockchain – presents a unique opportunity to open the crypto space for female players who constitute the majority of its audience. 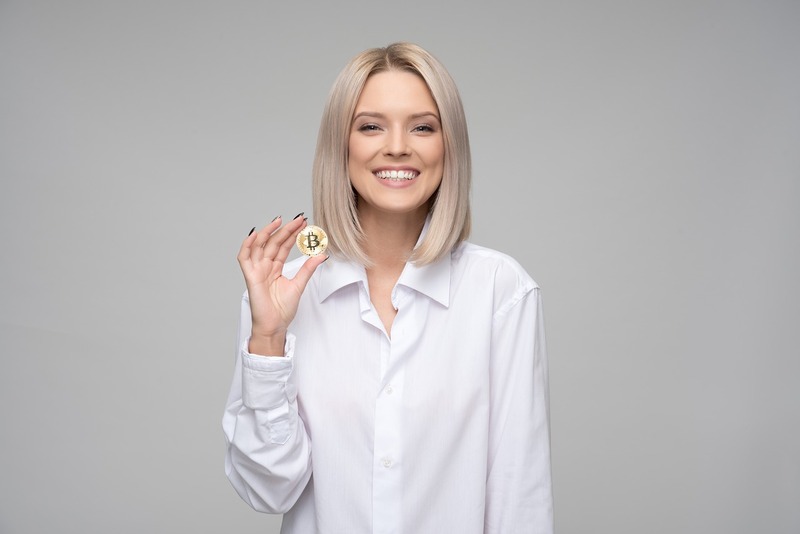 The public perception is that that crypto-assets and blockchain technology is a generally unappealing industry to women. However, many female entrepreneurs and IT professionals who have been trying to participate in processes around the blockchain revolution, have reported feeling left out and even discriminated. Rather disappointing for a technology that claims to be democratizing and equalizing, isn’t it? On the other hand, gaming – and especially mobile gaming – appears to be a more gender-balanced industry. Despite the stereotype “gamer” being a young guy, 55% of mobile gamers in North America are actually women, according to the Electronic Entertainment Design and Research gaming consultancy. Currently, gaming is often named as a prime industry to be disrupted by blockchain, thanks to the many ways this technology can improve the functionality, convenience, and security of the gaming experience. Keeping in mind the numbers outlined above, let’s look at how mobile games could serve as a springboard for bringing more women into the crypto space. There’s undeniably a learning curve in crypto and blockchain that’s equally challenging to beginners of both genders and all occupations. Mobile gaming increasingly employs blockchain technology in an interactive way – and thus presents new channels for bringing crypto into the mainstream. If a blockchain-powered game is engaging and appealing to the female audience, it can serve as a great motivator for learning about this technology and then putting this knowledge to use with different in-game applications. Cryptokitties is possibly the most popular example of a game that aims to teach about how blockchain works. To enter the game, the player needs to buy Ether (ETH) currency that powers it. Having gone through this process the player already learns the basics of how cryptocurrencies can be acquired and how do digital wallets and exchanges work. Cryptokitties uses an appealing motive – cats – and a simple design to spark curiosity in players who are not familiar with the blockchain principles – including many women. After entering the game, the player can buy digital cats – thanks to the blockchain, each kitty has a unique genome and is 100% owned by the player. The gamers can breed the cats and sell them on the in-game marketplace. In the near future, we are likely to see an abundance of innovative blockchain applications in mobile games with a similar aim – to create a more engaging and rewarding experience for diverse player audiences. Making money while playing – even if the amounts are tiny – is a motivating and rewarding way to see how the blockchain technology can work in the player’s favor. Already several games allow earning digital money while playing, like Hash Rush or Itadaki Dungeon. However, few games offer the possibility to withdraw and spend the earnings outside the game where they were obtained. This is changing with the rise of game-based cryptocurrencies like the Monetizr token (MTZ) that aims to give real-life value to gamers. Even the leading gaming company – Atari – has announced that they plan to implement crypto tokens into their gaming network. Thanks to the blockchain technology, these tokens can be used to reward players for their time and skill. As the players earn tokens for reaching different goals, they can simply transfer their gains to another game. Increasingly more mobile games include the option to buy virtual and physical goods with digital money inside the gaming app. Power boosts, special skins, unlocking new levels and game merchandise are just a few examples that can be purchased with cryptocurrency. Analytics firm DeltaDNA revealed that women are the biggest in-game spenders (4.5% of women spend in games, compared to 3.3% of men). Therefore, emerging integrations for in-app cryptocurrency payments are even more relevant for women than men, and could urge more players to try this payment method. This is an opportunity for mobile game developers too. Game design, characters, in-game stores and ads that are more tailored to female audiences will see their engagement levels and profits rising above all others. Why? Because currently, it’s still 44% more common for games to feature male characters in their icons, underrepresenting the big chunk of their female audience. Initial Coin Offerings (ICOs) already serve as an example of how women can successfully overcome the gender bias by removing the limitations faced in VC funding and getting better access to fundraising. ICOs may help women raise funds and accumulate digital assets that may have otherwise been beyond their reach, but they could also work the other way by appealing to women as investors. As gaming and e-sports platform ICOs grow in number, female investors can use the opportunity to support promising ventures. As almost anyone can invest in an ICO, the potential market for ICO investments is global and is open to more diverse types of potential investors. Femergy – the world’s first blockchain-powered social entrepreneurship platform designed for women to start and scale their businesses – is a good example of an opportunity for female investors. Increasingly more services and industries, including gaming, also incorporate blockchain smart contracts. These are more secure, fast and cost-efficient than traditional transactions and show the principles of how blockchain works while reducing the learning curve. Mobile games are an industry that appeals to women for many reasons – it fits into their busy lives, helps to reduce stress and doesn’t take up too much time and energy from other activities. Adding the blockchain applications into the mix is one of the natural ways that could foster the inclusion of women in the crypto world. As the blockchain revolution picks up speed, it must include more women if it’s bound to live up to its name as a democratizing and accessible power. The open-source nature of blockchain suggests that more women can make a place for themselves in this evolving network. At the same time, this is a market opportunity for game developers to make mobile gaming more diverse, more engaging, and more inclusive.